A charity has called for women who have been treated for breast cancer to be given better support once treatment ends. 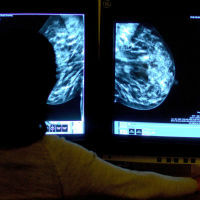 Breast Cancer Care said more than 1 in 4 women found being discharged after treatment harder than undergoing chemotherapy or having a breast removed. Calling for better access to care, the charity said many women struggle with getting their lives back on track - adding that breast cancer 'doesn't stop when hospital treatment ends'. The charity carried out a survey of 800 women who had been treated for breast cancer. Mental health issues were a common theme when treatment came to an end. 1 in 3 women surveyed had experienced depression while 1 in 2 had suffered anxiety post being discharged. Women who are planning a peaceful break after finishing treatment can arrange specialist medical travel insurance. David Crosby, director of services and engagement at Breast Cancer Care, called for better access to support to help women cope with the aftermath of cancer. He said: "Getting back to 'normal' can feel like a huge mountain to climb, and many find that leaving hospital after their last appointment is the hardest moment of all. "Those who have faced breast cancer have already been through enough, and should not be left to cope alone with ongoing mental health issues, debilitating physical side effects and constant fear of what lies ahead. "The NHS must ensure every breast cancer patient has access to support once their hospital treatment ends. Despite commitments to make this happen, there has been worryingly little progress to turn this promise into reality."